NEW YORK, 18 June 2018 – UNICEF has received EDGE Certification, becoming the first United Nations agency to earn the leading global assessment methodology and business certification standard for gender equality. The Economic Dividends for Gender Equality – or EDGE – Certification process includes a comprehensive review of data policies and practices and an analysis of an organization-wide survey of staff’s experience and perceptions of gender equality in the workplace. EDGE provides a three-tiered certification: EDGE Assess, EDGE Move and EDGE Lead. UNICEF has been certified at the second level, EDGE Move, for its implementation of a framework for change and achievement of significant milestones toward building an inclusive culture of workplace gender equality. 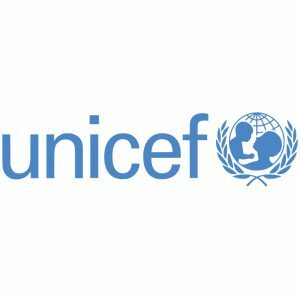 This ranking puts UNICEF at the top 11 per cent of all EDGE-certified organizations. UNICEF’s commitment to gender parity at the workplace aligns with the Secretary-General’s System-Wide Strategy on Gender Parity. The goal of achieving gender equality and empowering all women and girls is also captured as the fifth Sustainable Development Goal. Along with the seven-point Gender Action Plan, UNICEF affirms a commitment to gender equality as central to its mandate. EDGE is the leading global assessment methodology and business certification standard for gender equality. It measures where organizations stand in terms of gender balance across their pipeline, pay equity, effectiveness of policies and practices to ensure equitable career flows as well as inclusiveness of their culture. Launched at the World Economic Forum in 2011, EDGE has been designed to help companies not only create an optimal workplace for women and men, but also benefit from it. EDGE stands for Economic Dividends for Gender Equality and is distinguished by its rigor and focus on business impact. EDGE is currently working with 200 global organizations, in 50 countries and 23 sectors.